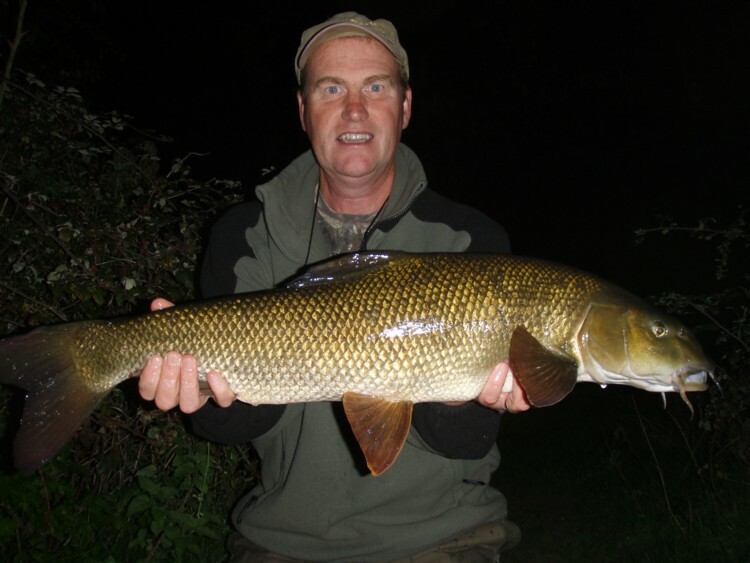 Well here I was again on the banks of the Dorset Stour on the Throop fishery. The level showed me to be .38m on the EA link. 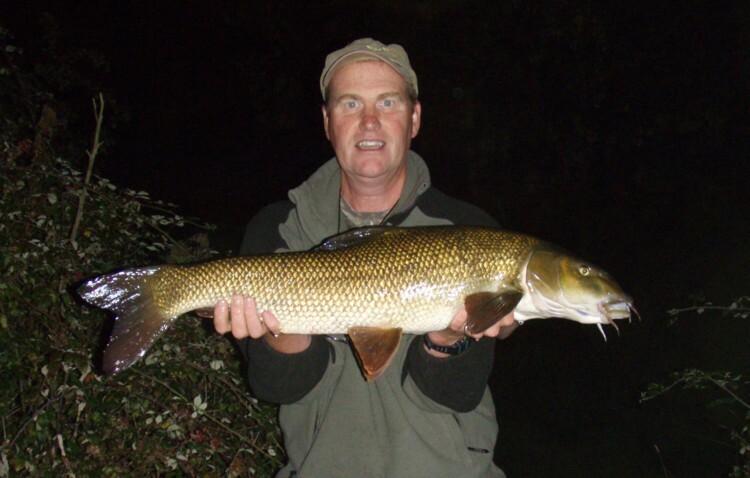 I intended to fish some different swims to see what was about and I had 3 hours of fishing time available to me that evening as I had travelled down late in the day. 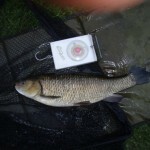 As per normal I found some large chub holding in a slight slack behind some weed. A classic holding area. There were a few that Ithought might go 6lbs plus. so out went 8 droppers of hemp together with some boilies. 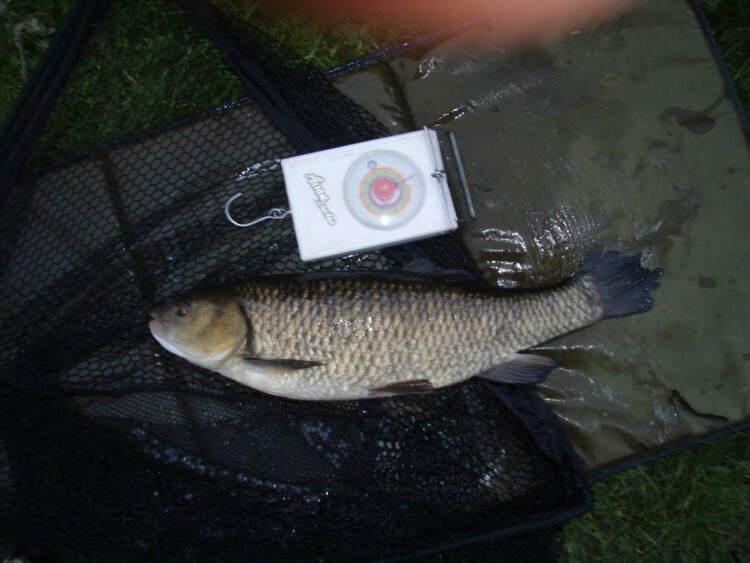 I didn’t have to wait long and in quick succession 4 chub were caught with the largest going 5lbs 4oz which I must say was a little disappointing. 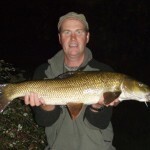 I had one chub of 4lbs 5oz that had most of it’s tail removed by an otter, have a look at the photo. 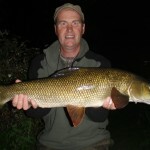 However at 7.45pm as the light was fading in true fashion a barbel picked up the bait and I was playing a powerful fish. I decided the best action was to get downstream of the fish and pull it away from the pipe reeds that infest the area I was fishing. There was just sufficient light to play the fish to the net. On the scales she went 10lbs 5oz although she was very long and lean, plenty of room to grow. This entry was posted on Friday, September 24th, 2010 at 11:54 pm	and is filed under Uncategorized. You can follow any responses to this entry through the RSS 2.0 feed. Both comments and pings are currently closed.